16th Inf., 1st Div., rushing through the streets of Thelonne, France, under machine gun fire (heavy), Nov. 7, 1918. HE WAS FIGHTING FOR THE FATHERLAND"HIER RUHT IM GOTT"
Machine gun nests of Germans when our Atillery made direct hit. 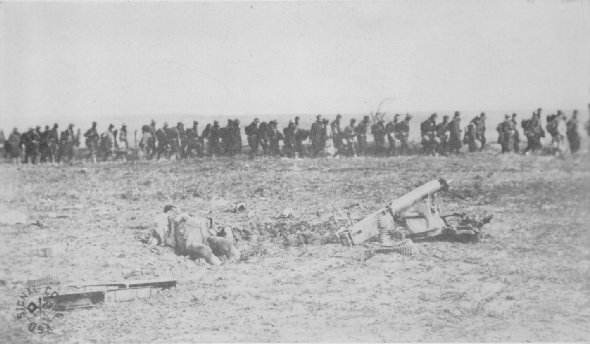 42nd Div. 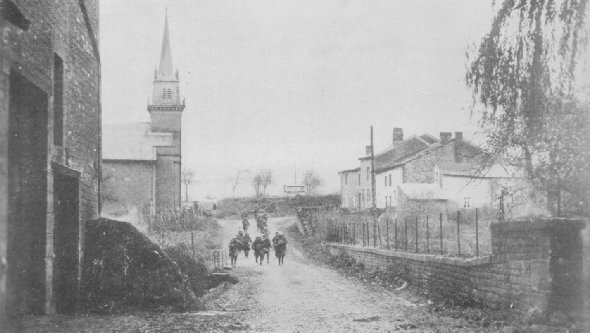 on way to front, Imecourt, Nov. 4, 1918.